An issue of al-Kown dated November 25, 1909. An issue of al-Kown dated July 11, 1907. 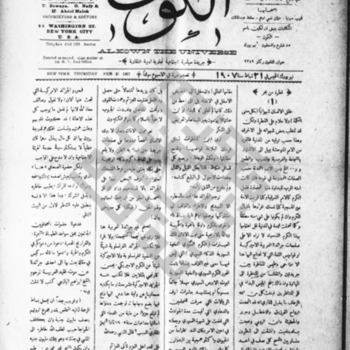 An issue of al-Kown dated February 21, 1907. An issue of al-Kown dated February 14, 1907.